It was standing-room-only yet again inside the Colonial Club for the finals of the 2016 "Mr & Miss Vintage UK" style competition, with another marvellous line-up of the UK's most stylish chaps and chapesses. 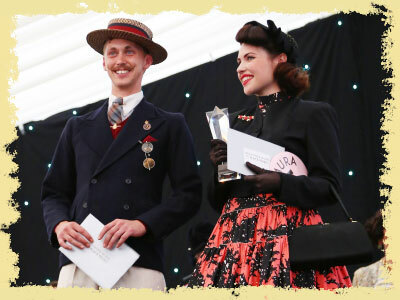 Our judges were once again put through their paces with the exceedingly difficult task of selecting the winners, but eventually a decision was reached, and it gives us great pleasure to announce Laura Hollowell as Miss Vintage UK 2016, and Matthew Palmer as Mr Vintage UK 2016! Starting from the left, the line-up of lovely ladies goes: Laura Hollowell, Lois Wickett, Sophie Von der Goltz, Alice O'Shea, Hannah O'Kelly, Gracie Hardy, Carrie Ann-Dring, Helen Large, Harriet Ball and Emma Hasell. Gracie Hardy took 4th place, with Sophie Von der Goltz in 3rd place and Harriet Ball in 2nd place, with Laura Hollowell as the ultimate winner! 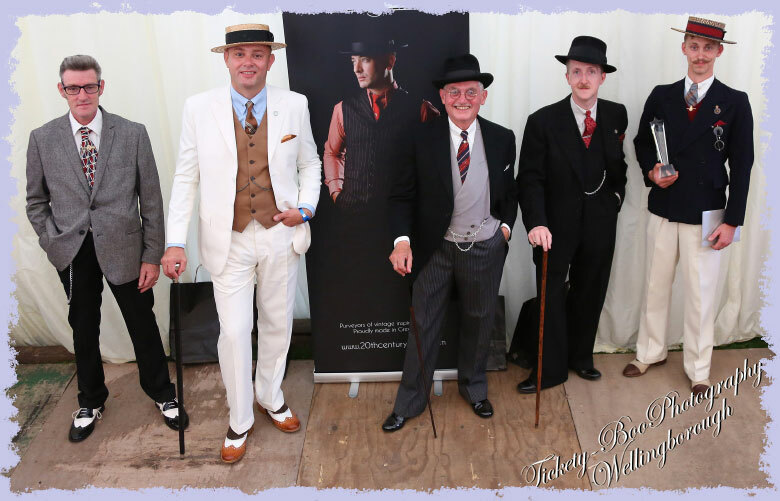 Our dapper gents, from left to right are: Paul James McCrae, Peter Emery, Chico White, Rowan Peare-Harte and Matthew Palmer. Matthew Palmer took first place, Rowan Peare-Harte came 2nd, with the remaining three admirably-attired chaps charitably sharing the runners-up positions. Many congratulations to all those who made the finals, and indeed all who entered the competition this year, and thanks also to the wonderful audience who made it to the festival to watch the live finals. A special thanks to our guest prize-giver: the dashing band leader Alex Mendham, and our hosts: Dusty Limits, Lola Lamour and Mark Ewing - thanks also to our judges: Rachel Egglestone-Evans, Lola Lamour and Mark Ewing, and sponsors: Vintage Life Magazine, Vivien of Holloway, 20th Century Chap, Beck Photographic, and Shazam! Vintage. Stay tuned for details of next year's competition! Credits for individual photos can be found by viewing gallery.